Lee County Commissioners want to stop thieves who use gas pump skimmers to steal credit card numbers. LEE COUNTY, Fla.-- Lee County Commissioners want to stop thieves who use gas pump skimmers to steal credit card numbers. Commissioner Brian Hamman says over the last two years, there have been more than 40 skimming cases in the county. There have been no arrests. 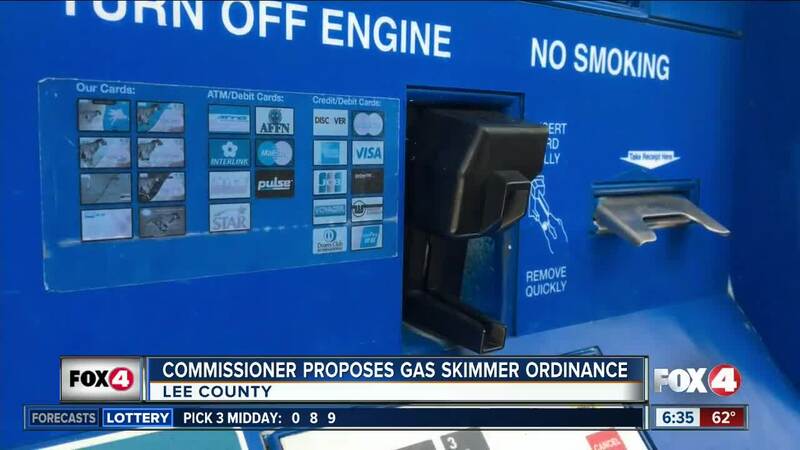 Hamman wants a skimmer ordinance in the books, and the rest of the board voted on February 6th, 2018, to go ahead with the proposal. Next up, is writing a draft and getting public input.